Christmas is coming and people start talking about wine and food. Now you have an app, that can be handy while having wine conversation. 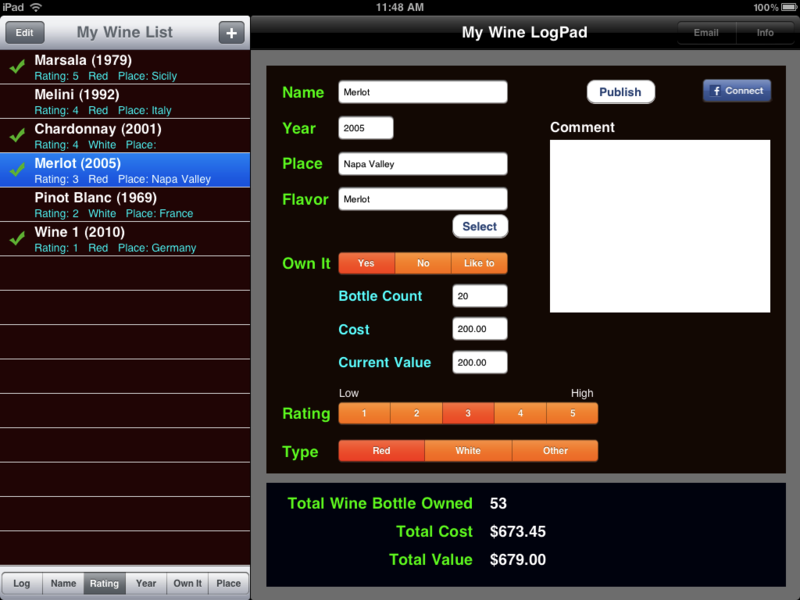 My Wine List (and My Wine LogPad) is an application for all Wine lover. 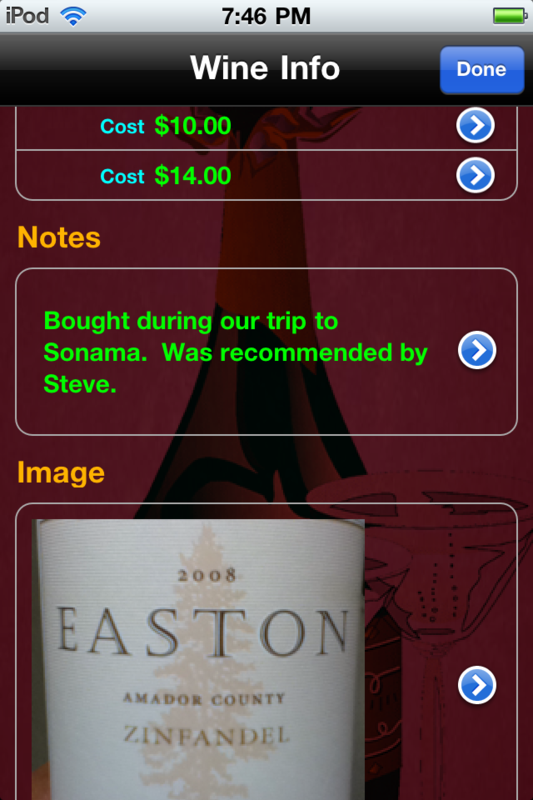 It helps user to keep track of wine they own and/or tasted or even would like to own (your own wine wish list). If you in hurry, no problem take a picture with camera and store it to reference it while buying it later. If you have wine cellar and want to sell wine, show people details about wine including picture. 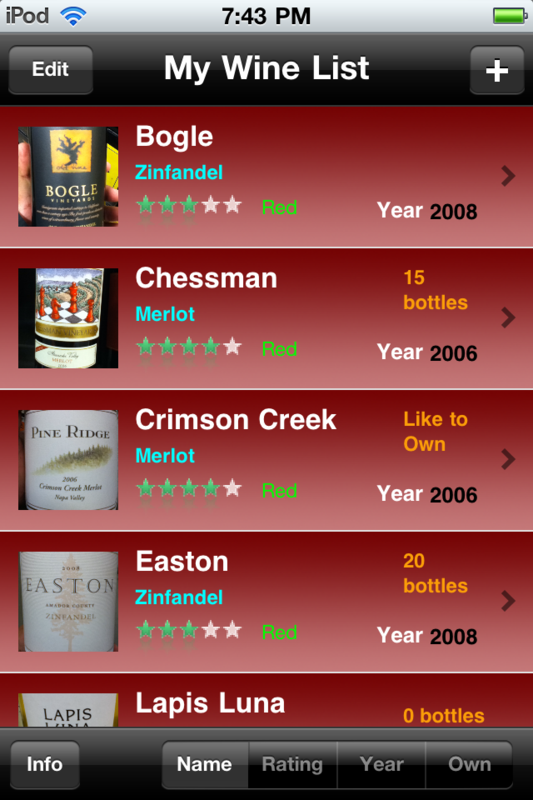 Use the app to keep track of what wines you tested, did you like it? How much? Give the wine rating and also add notes. 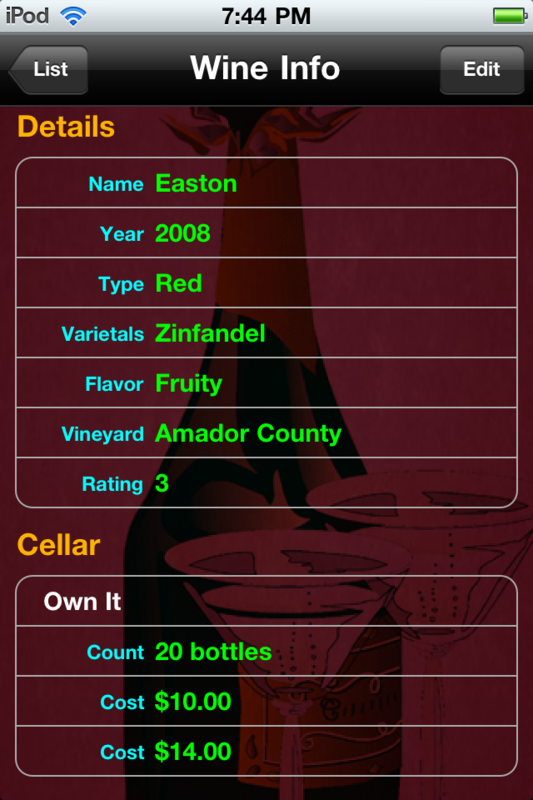 Use the app to keep track of what kind of wines you own/have in your cellar. If you are storing wine, you can even keep track of how much it costs and whats the market value now (how much you can make for your old wine). Rating: Rate wine from scale of 1 to 5. 5 being higher. Own it: If you own wine in your cellar. How many bottles, how much it costs you and whats the market value. Additional Comment: User can also add their comments like where they tasted, from what country, etc. The Wine List helps user to sort their list by Name of Wine, Sort by Rating (Hight rating first), Sort by Year (old wine first) and sort by own it (lists all wine owned first). It is a great application and a very handy application. Have fun. Reply/Post Comment if you like it or if you want to have additional feature added to application. 1. User can take picture and store it only on My Wine List app. 2. Some features and functionality not available on all devices. User can log into Facebook and publish wine detail as news feed and on the wall.